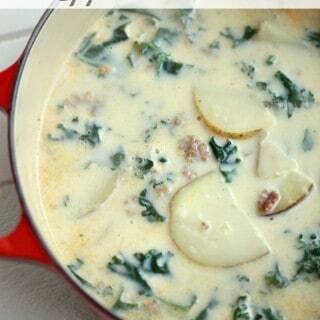 One spoonful of this creamy delicious soup, that’s all it takes to entice you to eat the whole pot. As soon as the weather turns cooler, I crave SOUP. Any kind really and I make lots of varieties and always have. I have been a “soup girl” for as long as I can remember. My mom would say oh she’s my “soup girl” and I can remember me just laughing. It was true. Give me a bowl of soup and I’m happy! I have a soup girl of my own now and say the same thing about her. I think the episode of Seinfeld of the soup nazi is just hysterical, all the flavors of soups always have me wanting a bowl of each one. Mulligatawny… never had it, but it sure sounds good. Guess I should get making some Turkey Chili, Crab Bisque and Jambalaya. 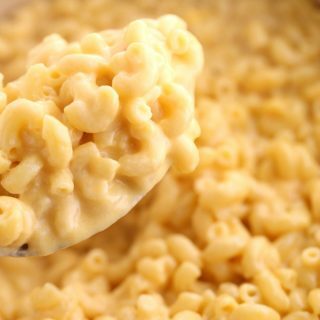 Here are some of the soups I’ve already posted One Pot Chicken Soup, Mac and Cheese Soup, Black Bean Soup, Pasta Fagioli, Baked Potato Soup, Corned Beef and Cabbage Soup, Cream of Zucchini Soup, Roasted Corn Soup. Now that Soup SEASON is underway, that list should give you some recipes to start with. The best part is soup is EASY, filling and perfect anytime. Think soup and a couple appetizers for a fun get together. Soup is great on game day. You can put soup in a crock pot on low to keep is warm which is great when serving a crowd. Here are a couple of my chili recipes to try Favorite Chili recipe, Green Chicken Chili and Pumpkin Jalapeno Chili. 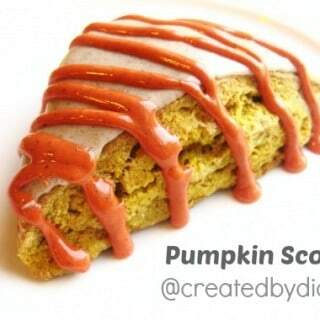 With more than a dozen recipes I’m sure you’ll find a new favorite! Heat oil with onion and saute until slightly soft. Over medium heat cook broccoli until some it's lightly browning, this will add some great flavor to the soup. slowly drizzle in the milk while whisking to create the sauce. Whisk in chicken flavor and heat over medium heat until soup begins to bubble lightly on the edges. Stirring constantly so it doesn't burn. Add in both of the cheeses and stir until well blended and creamy. Puree the soup with an immersion blender or in a regular blender. Toasted croutons make a great topping. Okay soup girl – this looks great!!! 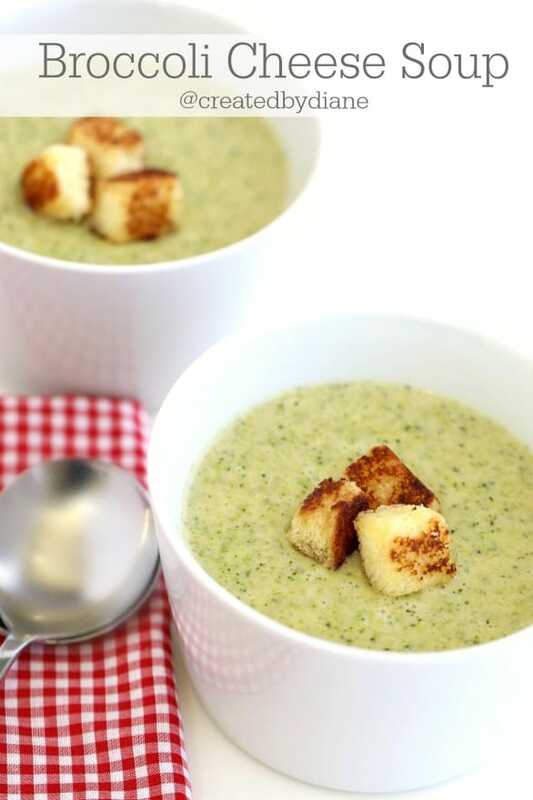 Love a good broccoli soup – and this one sounds perfect. Sharing! Looks like the perfect soup for a chili, winter day. I kind of forgot about broccoli soup, thanks for the delicious reminder Diane! Sounds and looks like a very tasty soup! 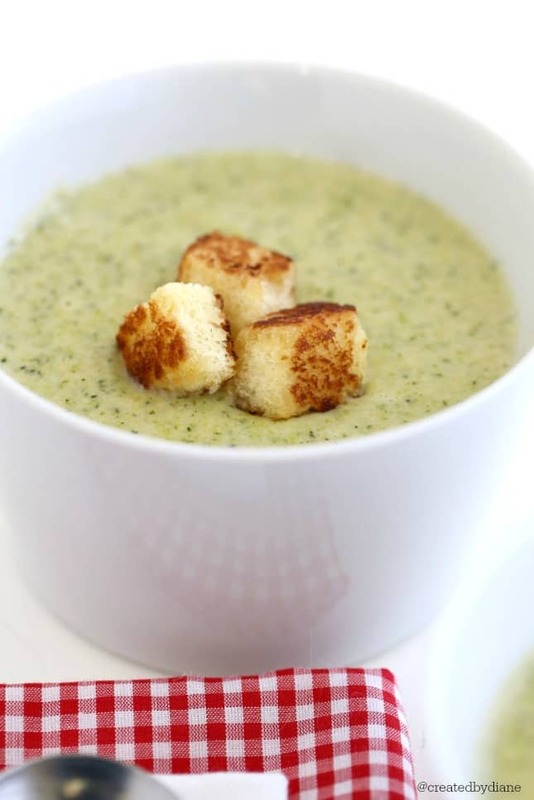 Love combination of broccoli and cheese..
Great minds think alike, I’m making broccoli soup today, it’s the most comforting soup on the planet — I love your photos, Diane, pinning! I am a passionate lover of broccoli bu I didn’t know this recipe. It seems finger-licking!